Can be affected from large tidal surges and changes in water level. Fishing is not permitted on the West Bank downstream of Magdalen Bridge near and around the moorings. Forms part of the Denver Complex and water storage as part of the 1960’s flood defence scheme. Helped to keep the villages dry in the 2014 floods. A Big Open waterway one of the most challenging in the Fens. A favourite with anglers looking for big bream, where a boat can be useful to locate the big shoals. Bream fishing usually best before the sun is high in the sky. Often fishes best when there is a good blow. Popular with Predator anglers, particularly those who like their own space. Despite the winter floods good pike and zander were caught in late in the season last term.Predator anglers reported big shoals of roach, but few anglers target them. Boats are allowed on the water between Denver and St Germans . 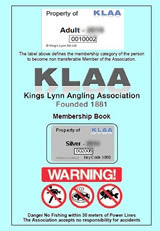 EA byelaws apply with regard to fishing, and a KLAA permit is required for boaters as the water is leased for fishing to the Association, whether it be from bank or boat. 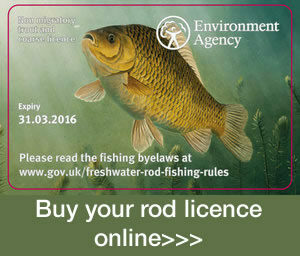 Species include Bream, Hybrids, Roach, Rudd, Tench, Perch, Pike & Zander.